Pulse Play smart watch recently launched from Tel Aviv, Israel and is available now as the only wearable tech and the first complete social ranking and scorekeeping wearable for racket sports. Israel is a global sports tech hotbed of innovation, this time by former three-time tennis Grand Slam champion, Andy Ram, Co-founder and CEO, of the fast-rising startup company. The Sports Techie community blog has many tennis playing global readers, followers and fans worldwide that are interested in learning more about the downloadable app and new smartwatch for racket sports funded by an Indiegogo crowdfunding campaign and shippable today. Amateur and recreational players will enjoy this unique “pro experience” that includes live scorekeeping, full match history and statistics, and league creation. The recent launch of their app on Apple Store and Google Play for both Pulse Play and Apple Watch is a sport-changing event. Secure your own Pulse Play smartwatch or download the app before the riveting 2016 French Open, Wimbledon and the US Open tennis tournament action begins. Pulse Play is the only wearable on the market to give racket sports the pro experience including live scorekeeping, full match history & stats, and league creation. Pulse Play is a sports technology solution for badminton, squash, tennis, and table tennis (ping-pong) scorekeeping with scalability to serve a global, social community of 300M amateur players around the world. Ram partnered with venture building team, sFBI (Small Factory Big Ideas) out of Rishpon, Israel to bring the Pulse Play concept to life. The sFBI startup studio builds businesses around bringing practical solutions to everyday problems. The team, led by serial entrepreneur Enon Landenberg, consists of experts in the startup, engineering, marketing, and development spaces. As a respected veteran of the sport, Ram brought his hard-earned expertise from the courts to the tech world, allowing the team at sFBI to capitalize on his knowledge and create a beautifully designed, practical product that can potentially change the face of racket sports the world over. Pulse Play solicited nearly $80,000 in an Indiegogo campaign finished during May, 2015. The 18­-month old startup designed it to be lightweight, sturdy, and comfortable while solving an issue among competitive and recreational racket sports players: fights on the court. Pulse Play All-In-One Social Scorekeeper And Announcer. Pulse Play is the first complete social ranking, scorekeeping and stats collecting wearable for racket sports. The system captures game history, compiles an accurate ranking system, and delivers live scorekeeping announcements, plus the environment has a social community, and opponent matching, all with just an easy click between points. Designed to help players improve their game, find new players, and know where they stand in comparison to other players, Pulse Play provides amateur racket players professional resources. Pulse Play helps you find random players at your level, announces the score live during your match, records your match history and game statistics, and ranks you among your friends, your club, your league, your town, and even the world. Information is wirelessly collected and saved about past matches, an overall summary of time played, your win-loss ratio, a list of your opponents, your ranking, your achievements, head-to-head comparisons, and more. Both players are required to wear a Pulse Play smartwatch because each player operates their own smart watch to save his points. The system will also rank social connections per player as well as their country. One feature to note is the ability to open a ranking group tailored for the user and their favorite opponents. More special features for coaches and club managers are included. The smart watch transmits each point to your mobile app and to the cloud so a reliable internet connection is crucial. 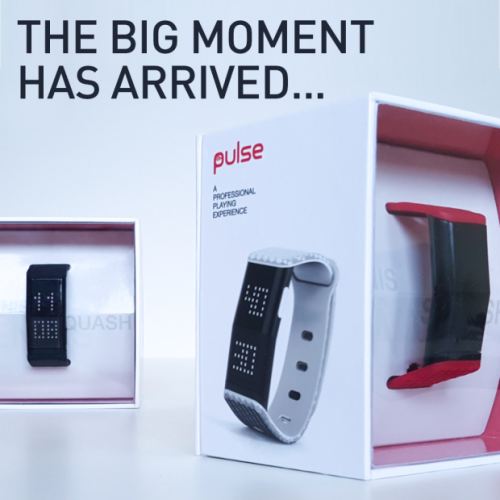 Pulse Play is available in four colors at a retail cost of $125 for a single Pulse Play, and $200 for the doubles. You only pay for the smart watch. The app and social network are free of charge. There is a one-year warranty for replacement. For more information, visit www.pulse­play.com. Pulse Play is the only wearable for racket sports built by a Grand Slam champ, Andy Ram. Pulse Play will give amateur and recreational racket sport players what we call the pro experience including live scorekeeping, full match history & statistics, and league creation. They just launched on Apple Watch a couple weeks ago & Android Wear is planned soon. You can still download the app in Google Play in the mean time. They held an Indiegogo campaign back in April, 2015 and raised around $80,000. 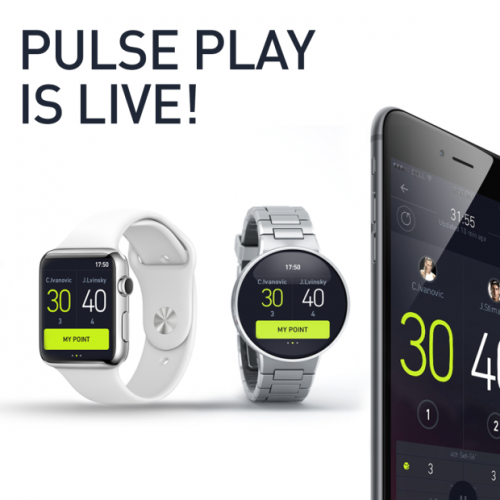 Pulse Play just launched an app and smartwatch for racket sports players. Sports Techie, Pulse Play sports tech is focused on developing a community and ranking system of amateur players. In the future, look for the addition of sensors, fitness criteria and more stats. 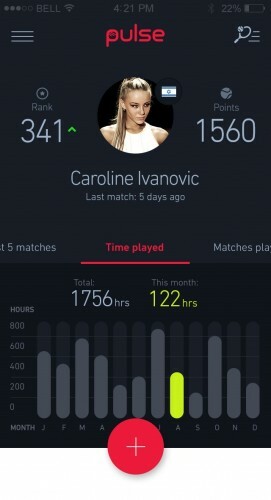 This innovative sports tech product does not currently rank ATP, WTA or NTRP players, however, should their be a trend towards connecting all rankings, this feature is doable down the road. I love tennis but don’t play on a regular basis. Those of you that are new to the sport, have played your whole life or have a skill level somewhere in between, might consider purchasing a Pulse Play to help improve performances, implement sports analytics derived improvements and to grow your database of similar or better opponents. Wearable tech is the future of sports, now.